Ductless mini-split systems are aesthetically efficient and provide consistent room comfort. Ductless mini-split systems have many great benefits; from preventing air leakage and security problems that may occur from having a window AC unit, to helping you save on your heating and cooling costs. Bonded Mechanical Corporation recommends ductless systems to homeowners and has over 19 years of experience working with mini split units. Call (631) 213-6131 today for a free quote. A ductless air conditioner and heat pump is generally a wall-mounted indoor unit combined with an outside compressor. 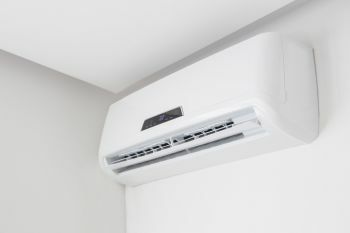 Many find that ductless mini splits are ideal for spot cooling situations in homes and businesses where ductwork is either not available or difficult to install. Though, many homeowners and businesses find that mini split systems provide superior comfort and quality of life for any situation. Did you know that the average home loses 25% or more of their energy to ductwork? Ductless mini split systems are exceedingly energy-efficient, and have so many more great benefits alike. If you are considering a new heating and cooling system for your home, consider the benefits of having Bonded Mechanical Corporation install a new ductless mini split system. Homeowners and business owners have been choosing Bonded Mechanical Corporation's knowledgeable contractors with their HVAC needs since 2000. When you are ready to go green with your heating and cooling, call (631) 213-6131 for a free quote on a new ductless mini-split!